On our last day in Kyoto, we woke up early to check out of our hotel and head over to Shunkoin Temple for a special Zen meditation session with the attending head priest of the temple, Reverend Takafumi Kawakami. 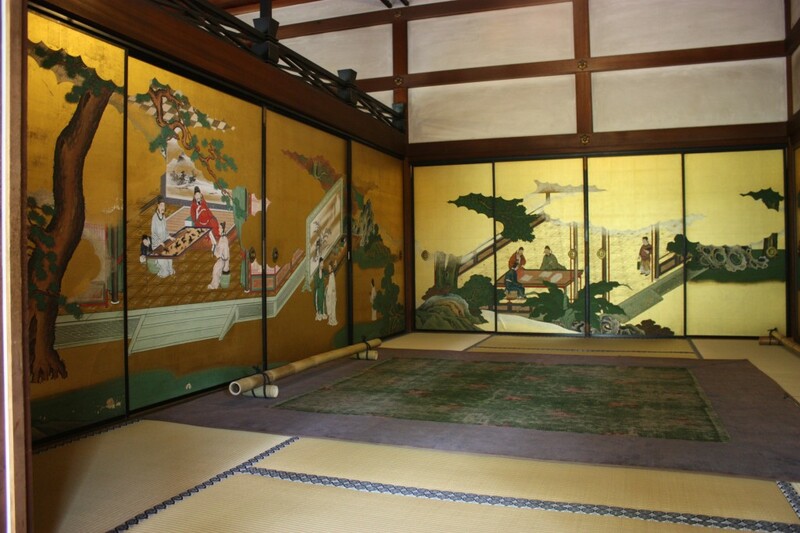 Upon arriving at the temple, we took off our shoes and were led into a traditional tea-ceremony room with tatami mats and simple wooden walls, which was naturally-lit from the sun streaming in from the zen garden outside. The Reverend encouraged us to sit on our cushions in whichever way was most comfortable for us, since comfort and ease were the only reasons why monks used the traditional “half-lotus” leg position. 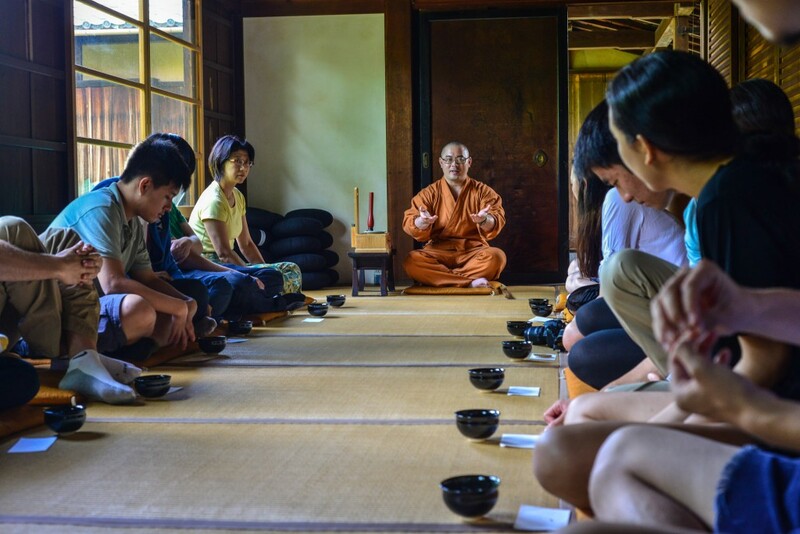 He emphasized the importance of understanding the origins and logic behind traditions like the sitting positions for meditation; it is through this understanding that we will be able to practice the true intent of a tradition and keep it alive. Reverend Takafumi Kawakami teaching us the Art of Zen. We enjoyed two brief meditative sessions, initiated by the clapping of wooden sticks and ringing of a bell. As incense floated through the air, we focused on our breathing and accepting any thoughts that entered into our minds without trying to judge or control them. We considered the Zen idea of impermanence, or how each present moment is significant in the way that it will soon become a part of our pasts, but also pave the way for our futures. After the second session, the Reverend showed us the zen garden and the beautiful screen paintings in the adjoining room, pointing out how the gold paint best illuminated the objects depicted when the lighting was dim, as it would have been in ancient times. We then shared fresh matcha and senbei before saying our good-byes, departing a little more enlightened than we had been an hour and a half before. 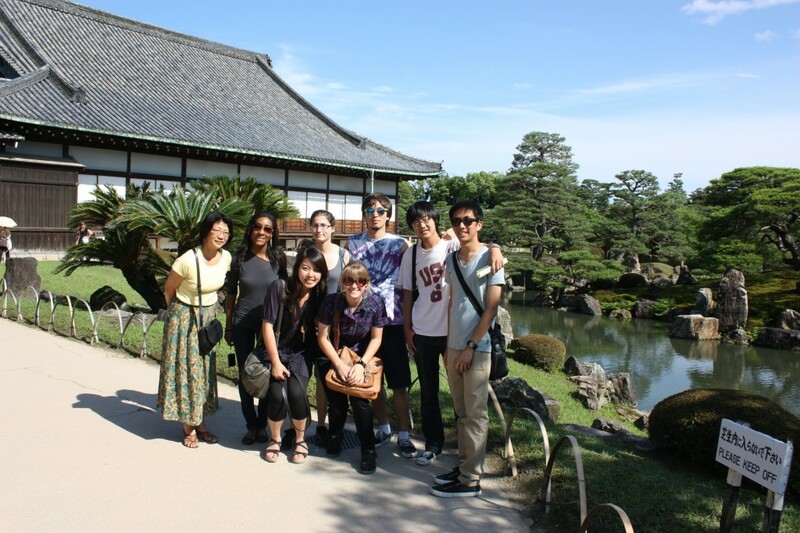 After a quick Japanese bento box lunch on the bus, we arrived with our guide Masako at Ryoan-ji. Ryoan-ji contains a famous rock garden, which embodies the Zen idea of impermanence (each pattern that you rake in the pebbles will become your past as soon as you create it, and will disappear with the wind or human disturbances of the near future). Ryoan-ji’s garden is famous for its fifteen rocks, which are organized in one group of five, two groups of three, and two groups of two. At any given vantage point, however, only fourteen stones are visible at one time. It is said that only through reaching the final stage of enlightenment will a person be able to see all fifteen stones at once. 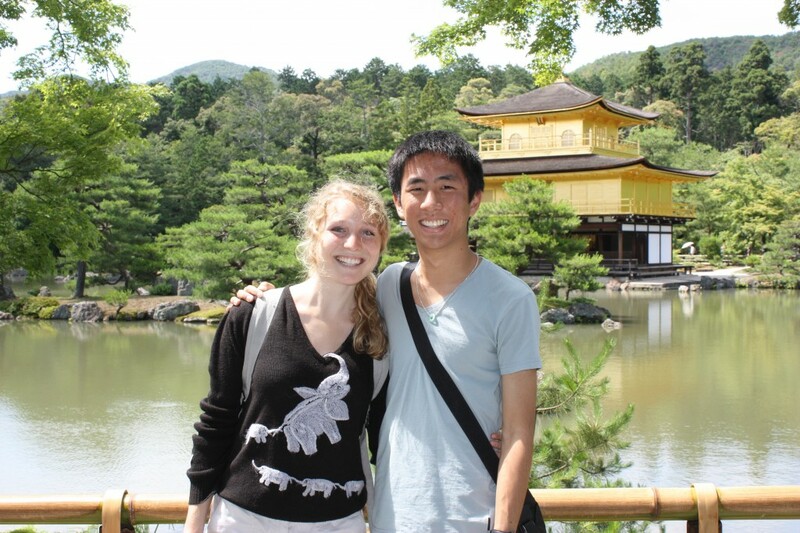 From Ryoan-ji we went to another historical site called Kinkaku-ji, or the Temple of the Golden Pavilion. The Golden Pavilion itself is a three-story building which was built by the shogun in the 14th century as his living quarters. The top two stories are completely plated with gold-leaf, and on top of the pavilion is a golden phoenix, meant as a symbol for the true and just leader of Japan. After risking a group picture at the most crowded viewing point, we wandered through the gardens and vendor stalls for mochi samples and ice cream before boarding back on the bus for one last stop on our whirlwind tour. Our final destination was Nijo-jo, the castle of the Tokugawa Shoguns that was built in the seventeenth century, which has been designated by UNESCO as a World Heritage Site. As the main residence for the Shogun, the castle has many built-in security measures to ensure its owner’s safety. For example, the floor underneath our feet was intentionally constructed to creak so that no invaders could approach without warning. Masako also showed us a painted screen with a sort of Mona Lisa-esque lion, which was supposed to scare invaders by seeming to watch them no matter where they stood. We also learned that, while parts of the castle were decorated to pay homage to the emperor, the fact that they were built facing an “evil” direction was actually a snub to the imperial power. 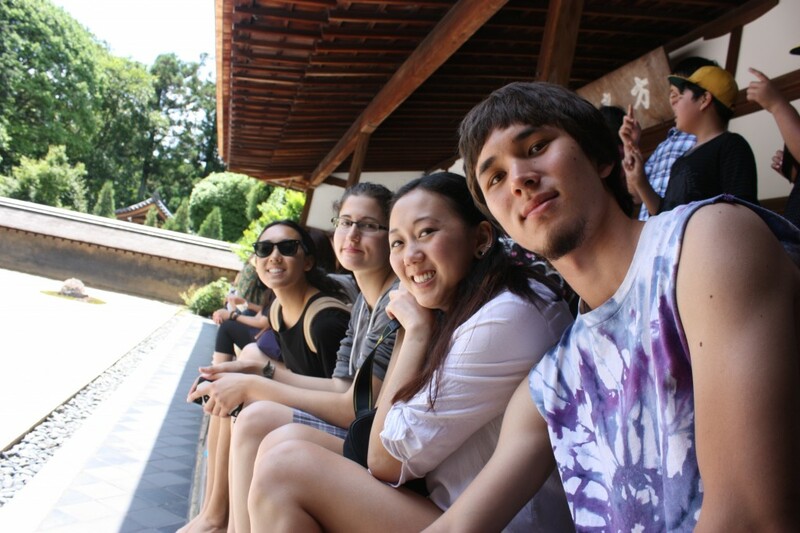 Some of our group continued to explore the Shogun’s gardens around the castle, while others went to the nearby samurai sword shop to look for exciting souvenirs to bring home. After another two-and-a-half hour shinkansen ride, we finally arrived home at our beloved Jimbocho station and settled back in to our familiar Sakura Hotel for our final two nights in Tokyo.